Besides being one of the most populous metropolitan cities in the world, New York City is also a global center for commerce, finance, media, art and finance. The United Nations Headquarters is located in lower Manhattan, giving New York the important distinction as the world’s center for international diplomacy and culture. The New York Stock Exchange is world’s largest. Several of the world’s top universities are located in New York City, including Columbia University, New York University and Rockefeller University. 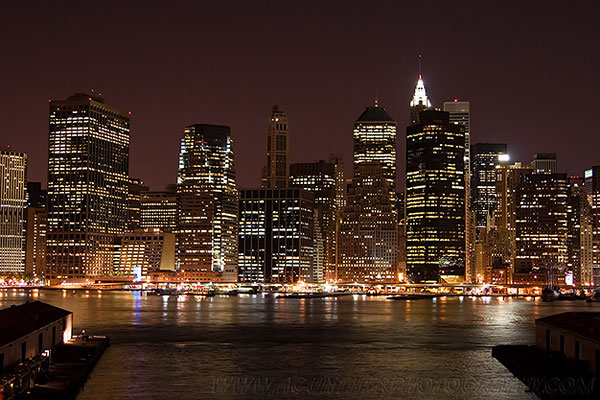 New York City consists of five boroughs: Manhattan, the Bronx, Brooklyn, Queens and Staten Island. They were consolidated into a single city in 1898, and today New York is the United States most densely populated city with nearly 19 million residents. Brooklyn and Queens, which occupy the same political boundaries of Kings and Queens counties respectively, are located on geographic Long Island. Long Islanders, that is, residents of Nassau and Suffolk Counties, have easy access to New York City by the cities rapid transit system, the MTA, which unlike other major metropolitan transit services, runs 24 hours a day. Some of the world’s most famous ethnic enclaves thrive in New York City. Little Italy has experienced somewhat of a downturn in recent decades, but the local culture is still ever present and visitors to New York City continue to flock to Mulberry Street to enjoy what is considered the world’s best pizza and Italian cuisine. 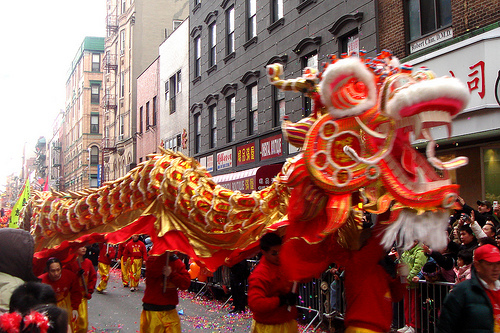 Chinatown is home to the highest concentration of Chinese people in the Western Hemisphere, and is also a popular tourist location in New York City, attracting tens of thousands of spectators and participants during the Chinese New Year. 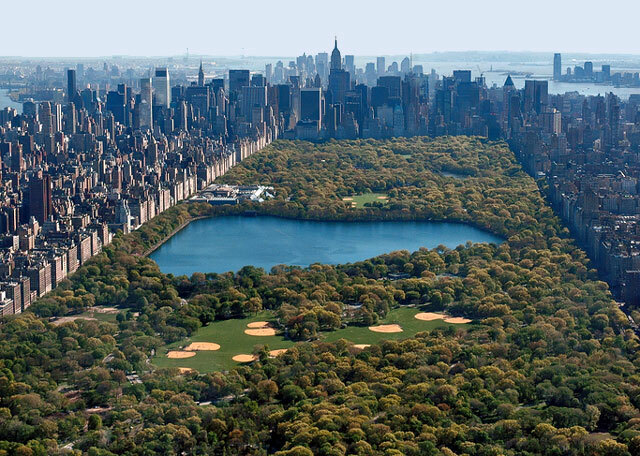 Central Park is a historic landmark in New York City, and the largest expanse on un-developed land in Manhattan. Frederick Law Olmsted and Calvert Voux won a design competition in 1858, and the park was improved and expanded upon throughout the Civil War until its completion in 1873. The park is now classified as a National Historic Landmark, and is a recreational center for residents and visitors alike. Being the cultural center of the world, New York has an assortment of amazing museums and changing exhibits that display world history, natural history and the sciences, cultural and historical societies. The Museum of Natural History is popular because of its ever-changing exhibits and free admittance, although donations are encouraged. The Metropolitan Museum of Art and the Museum of Modern Art combine the wide breadth of art history and contemporary art movements. New York City is world renowned for its fashion and shopping culture. Designers from around the world vie for their products to be displayed in the windows of 5th Avenue, and even those who can't afford the ticket prices flock to Fashion Avenue to window shop. 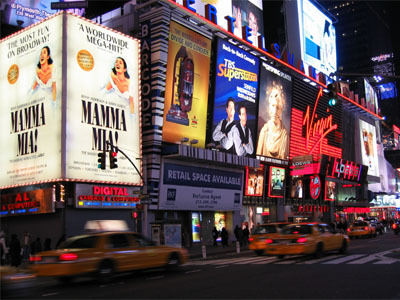 World-class musical and theatre productions draw thousands of visitors to the city each year as well. Whether you are picking up a ticket for a Broadway or off-Broadway productions, you are in for a thrill. There's a reason budding stars are drawn to this city, and the odds are never better than in New York City. The mass transit system in New York City is operated by the Metropolitan Transit Authority, commonly called the MTA. New York City has one of the worlds only 24 hour mass transit system, and conveniently for both New Yorkers and Long Islanders, the MTA offers several connections for commuters using the Nassau Inter-County Express and the Long Island Rail Road. There are 468 subways stations operating in New York City and 4300 busses on 290 routes.